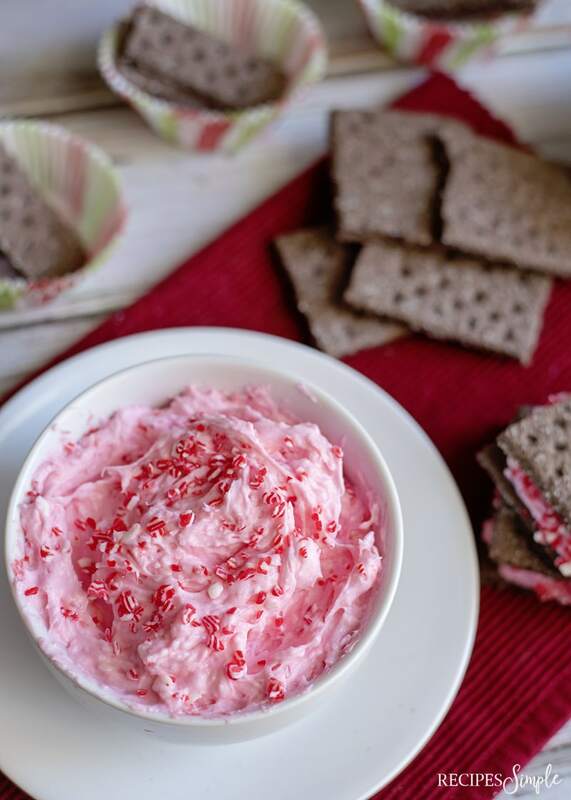 Nothing says Christmas like Candy Canes and they make this Christmas Dip a festive dessert or appetizer to serve for the holidays. 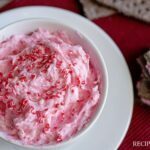 You can serve this dip with apples, vanilla wafers, chocolate covered Pretzels or your favorite cookies for dipping. 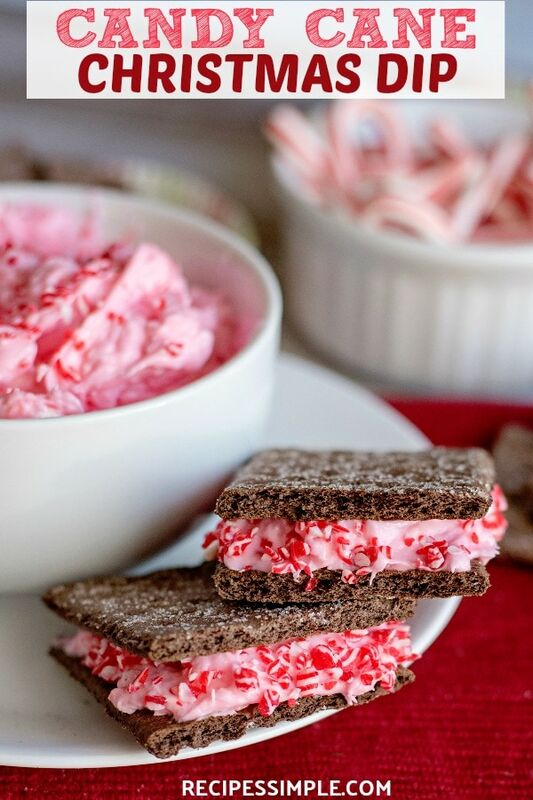 This makes an amazing creamy filling layered between two chocolate graham crackers as an extra special treat. 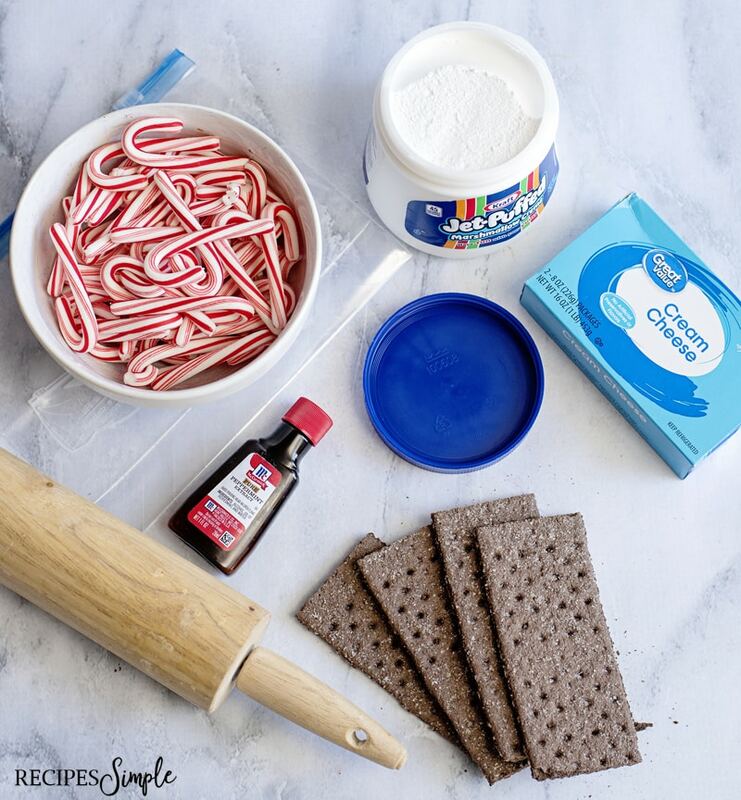 To make this delicious Candy Cane Christmas Dip you will need marshmallow fluff, cream cheese, Peppermint Extract and crushed candy canes. 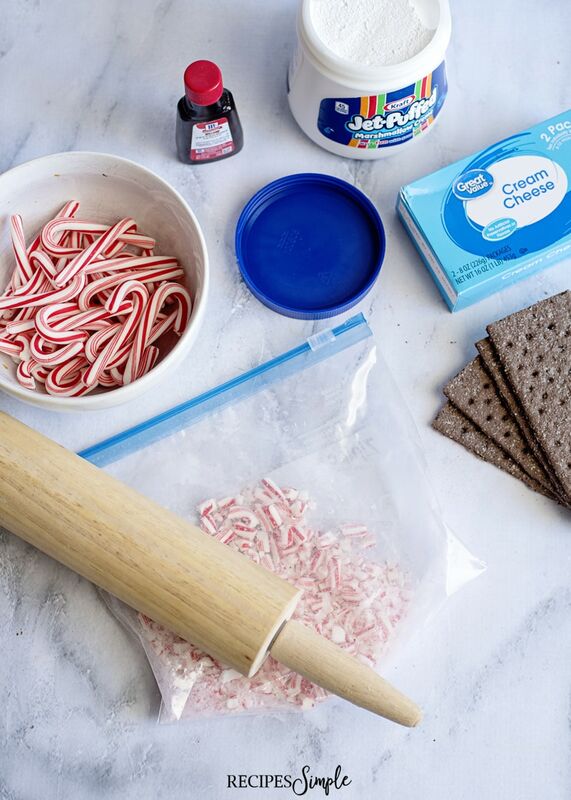 If you are starting with full size candy canes, add them into a Ziploc bag and crush them into small pieces. You can do this with a rolling pin. 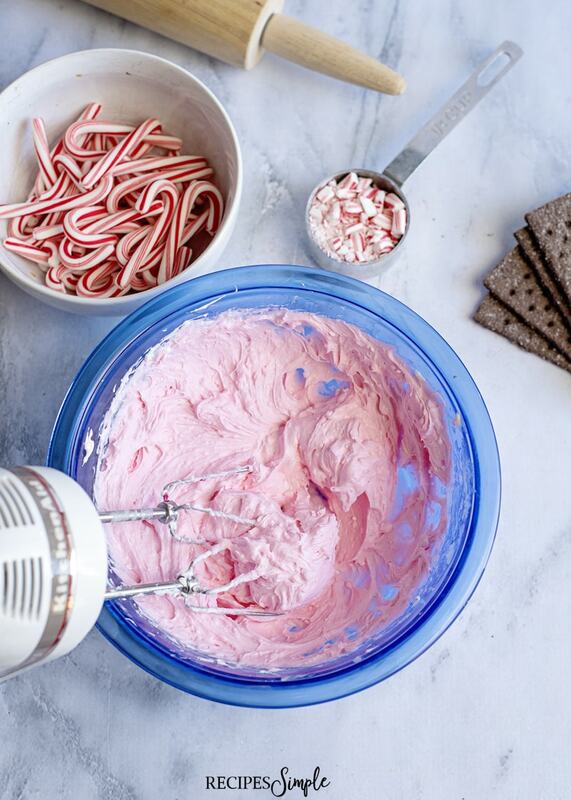 In a medium sized bowl, add the marshmallow fluff, cream cheese and a few drops of food coloring (optional). Mix the ingredients until well combined. 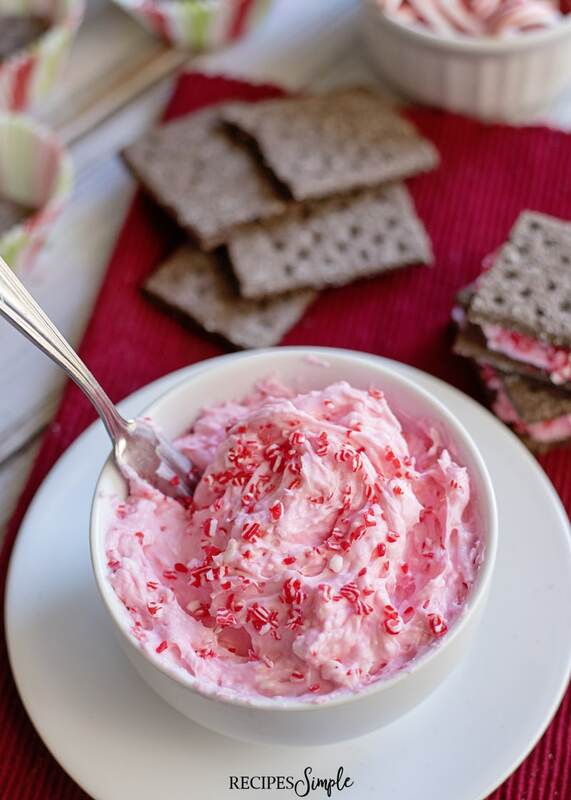 Toss in the crushed candy canes and mix until combined into the dip. 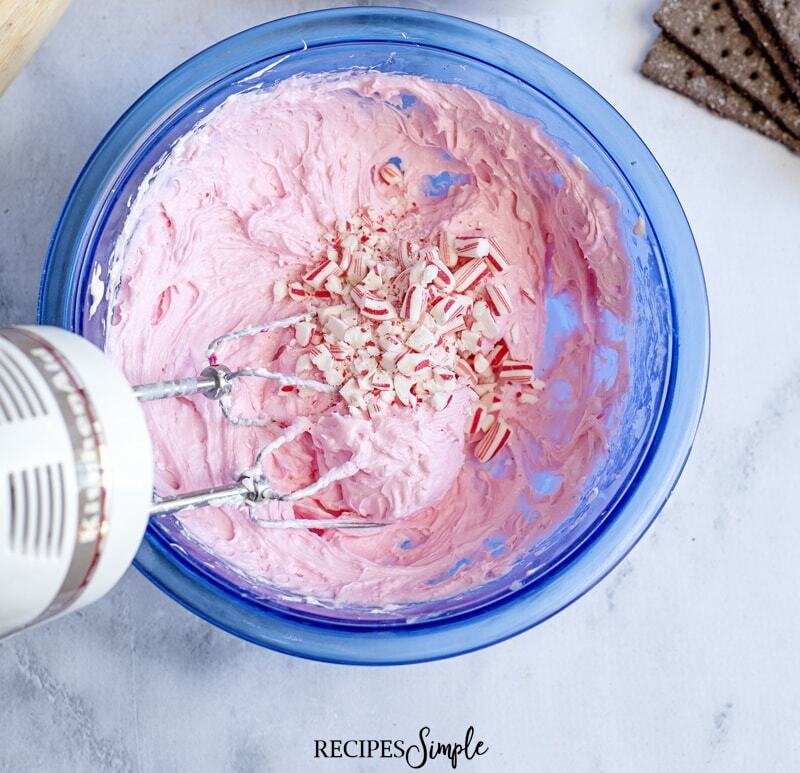 Scoop the dip into a bowl and top with some extra candy canes for presentation. Add chopped pieces of Hershey kisses. Sprinkle crushed Vanilla or chocolate Wafers on top. Mix in crushed Oreos or chocolate chip cookies. Substitute Cool Whip for the Marshmallow Fluff. Add in mini dark chocolate chips. 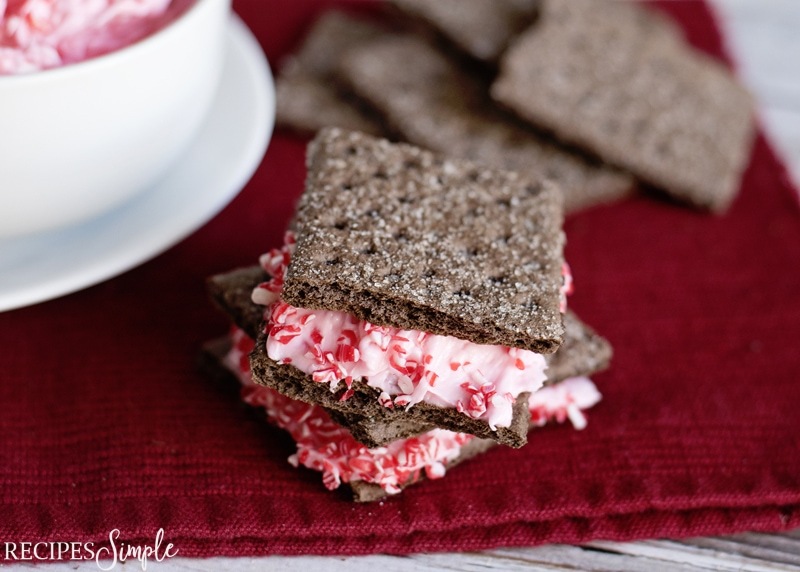 Use as a creamy filling between two chocolate graham crackers. You could use this as frosting on brownies or cupcakes. 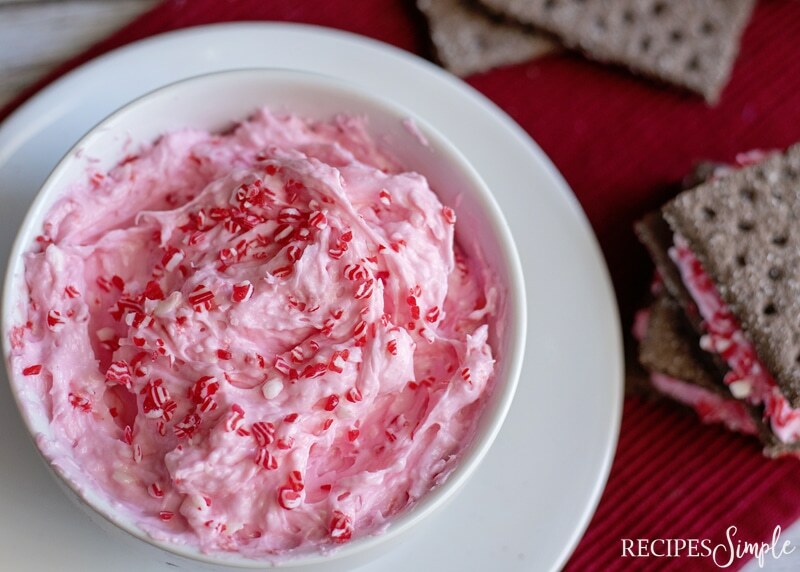 Hope you enjoy this delicious Candy Cane Christmas Dip! In a medium sized bowl, add the marshmallow fluff, cream cheese and a few drops of food coloring. Mix the ingredients until well combined.